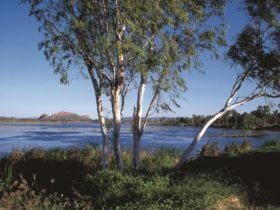 Kununurra sits at the heart of the pristine and rugged wilderness that is the North East Kimberley. An aerial tour with locally owned and operated Kingfisher Tours is one of the best ways to explore this magnificent landscape. 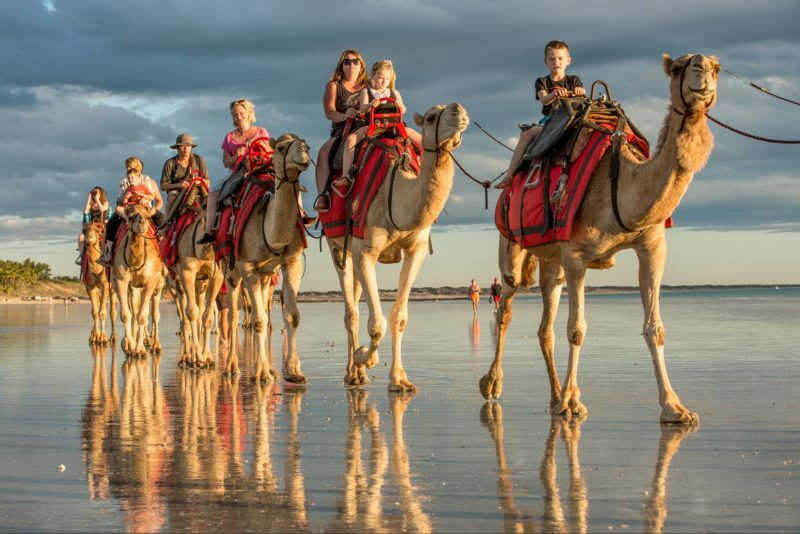 They have a wide range of finely crafted tours designed to showcase the very best of the spectacular landscape, history, cultural heritage, and contemporary enterprise of the region. They offer unparalleled safety and personalised service as well as commentary from enthusiastic and knowledgeable aircrew. It will be their pleasure to welcome you on board and they hope to see you soon. In the culture of the Kimberley people, the Wandjina is a respected and ‘stormy’ spirit being who brings wet season storms, water and life to a parched land. Join this ultimate Kimberley adventure as you explore the heart of the Wandjina country and the most remote landscapes, rivers and coastline in Australia. 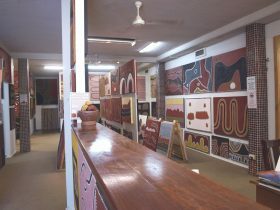 Included is a picnic lunch and tour of Kalumburu Aboriginal Community. Departing Kununurra, track along the Ord River towards House Roof Hill where much of the movie ‘Australia’ was filmed. Continue along the lower Ord River and its wetlands, the historic port of Wyndham and up the Cambridge Gulf. 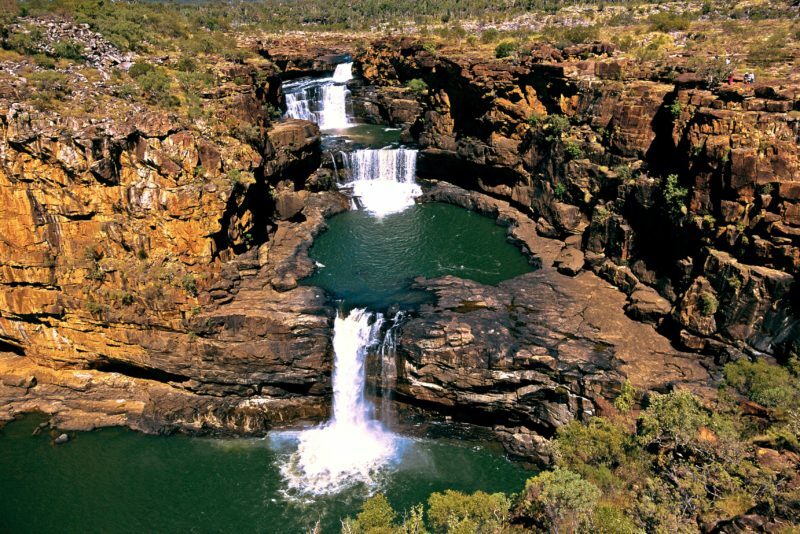 Following the striking Timor Sea coastline, turn inland and orbit the truly awesome King George Falls. Faraway Bay is next in sight before landing at Western Australia’s most remote indigenous community of Kalumburu. Here you can enjoy a picnic lunch and a tour of their historic mission, museum and the community itself. Airborne again, continue over the historic Truscott Airfield then on to the pearl farms of Vansittart Bay. Orbit the famous Mitchell Falls before returning to Kununurra via the beautiful Cockburn Ranges. The best way to explore this fascinating World Heritage listed National Park is from the air. 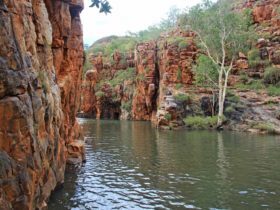 Famous for the Bungle Bungle Ranges, this tour will be one of your most spectacular and memorable experiences in the Kimberley! Departing Kununurra, head south over Lake Kununurra and the upper Ord River and on to Lake Argyle that is both an engineering triumph and scenic wonder. With its many islands and beaches, the natural beauty and sheer size of Lake Argyle provides the perfect opportunity for the ultimate photo. Next, follow the Bow River south and overfly some of the vast cattle stations, including Lissadell and Texas Downs. 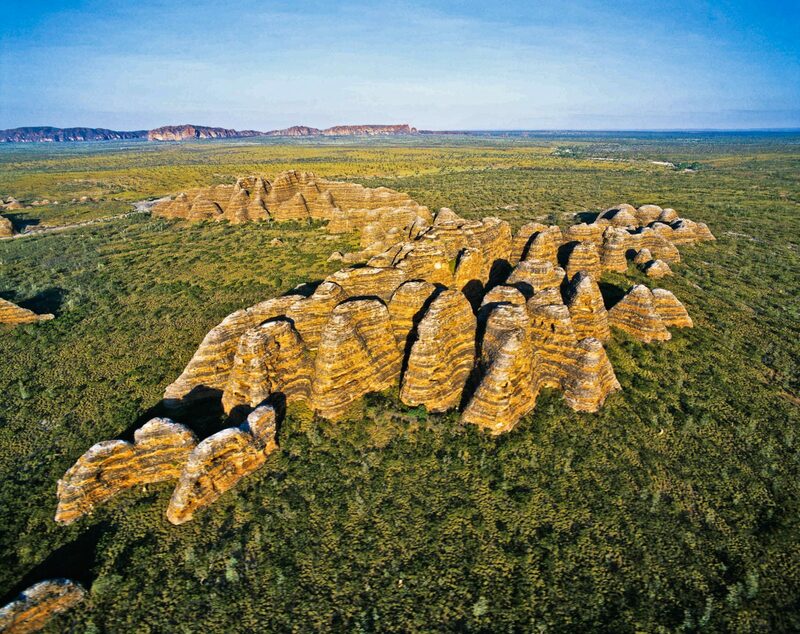 After passing over the Osmand Ranges arrive at the Purnululu National Park and the Bungle Bungle Ranges. Here you will fly a circular pattern to reveal the spectacular gorges and diverse beauty of the area which are also rich in ancient artwork and cultural sites. Leaving the Bungles, track north towards the extinct volcano that is now the Argyle Diamond Mine and past Lake Argyle and the Carr Boyd Ranges. Return to Kununurra with brilliant views of the irrigated plains to the north and south of the town. Let Kingfisher Tours take you on this extended aerial adventure to showcase the world famous Bungle Bungle Ranges as well as the magnificent Cockburn Ranges, Cambridge Gulf and lower Ord River. Departing Kununurra, head south along Lake Kununurra over Packsaddle Plains to Spillway Creek and on to the majestic inland sea that is Lake Argyle. After following the Bow River south we cross the Osmand Ranges and arrive at the Bungle Bungles located within the world heritage listed Purnululu National Park. Here you will orbit over the park revealing the spectacular gorges and unique beauty of the Bungle Bungles, before tracking for the Argyle Diamond Mine. After circling the open pit, head towards El Questro an old million acre cattle station turned wilderness park, with its famous cliffhanging homestead. Continue downstream along the Pentecost River to Home Valley Station with the spectacular Cockburn Ranges in full view to the east. Pass over the King River Delta, the historic town of Wyndham and along the lower Ord River to the breathtaking House Roof Hill where much of the movie ‘Australia’ was filmed. From here, fly over Ivanhoe Crossing and the Ord Irrigation area before returning to Kununurra. 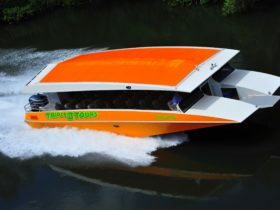 An adventure packed day with Kingfisher Tours showcases the iconic Mitchell River Falls. Departing Kununurra at 6:30am you head west to the Cockburn Ranges and then onwards over the heart of the north-central Kimberley to the Mitchell Plateau. On arrival you board Kingfisher’s 4WD coach for the 20 kilometre drive to Mertens Campground and the start of the 4.5 kilometre Punamii-unpuu Hiking Trail. Along the way there is ample opportunity to rest, paddle and explore the awesome Little Merton’s and Big Merton’s Falls and the ancient rock art sites featuring the extraordinary Gwion Gwion spirit figures. Arriving at the spectacular Mitchell Falls at around midday, find the perfect picnic spot and enjoy the gourmet lunch prepared for you. For the next 2 hours you are free to wander and explore the escarpment and swim in the upstream waterholes. Next rendezvous is at the Mitchell Falls Helipad for an exhilarating chopper ride over the Falls back to Base. On the homeward flight you detour to the Cambridge Gulf, the pioneer town of Wyndham and the extraordinary Lower Ord wetlands. The rich farmlands of the Ord Irrigation Scheme guide you back to Kununurra airport.